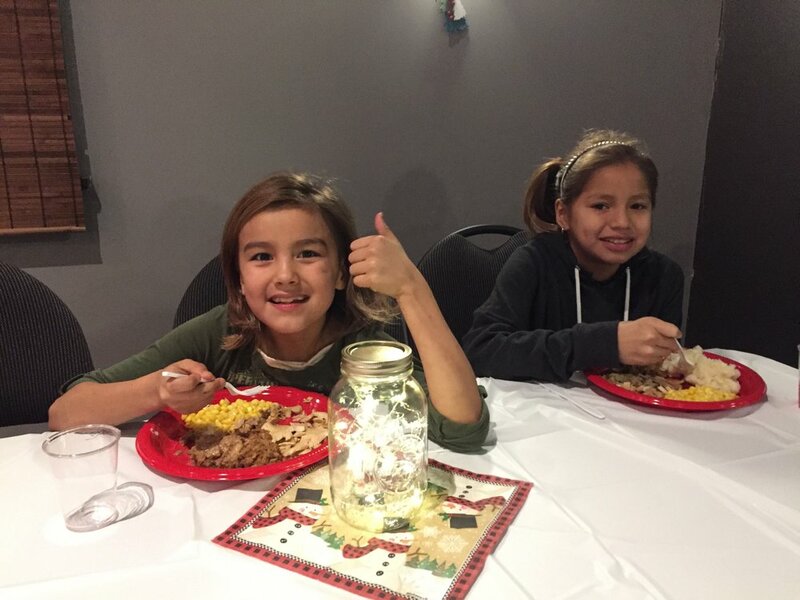 Drop-In wrapped up before the Christmas break with our annual Christmas Banquet on December 12th. 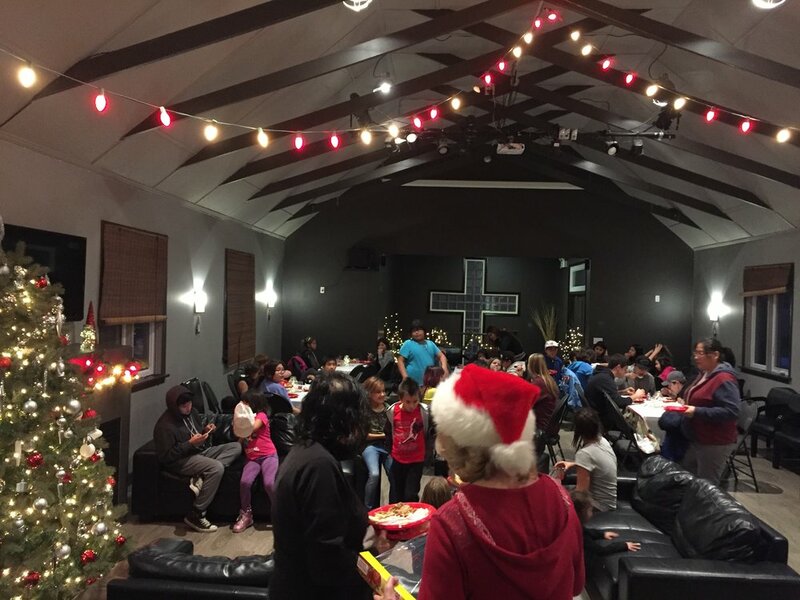 Fifty-nine students were in attendance plus there were 3 Moms, 1 Grandmother and 1 Dad who joined us. Supper was turkey, dressing, potatoes and all the trimming plus some great desserts and punch. 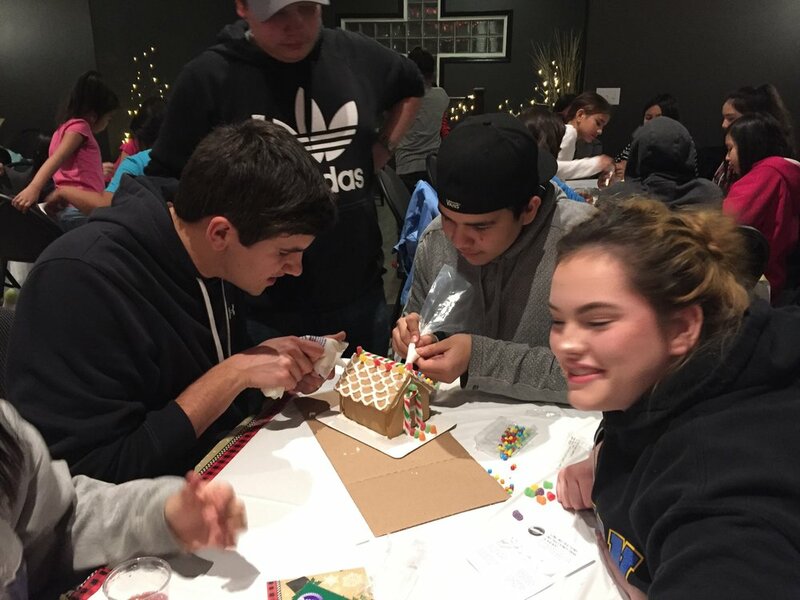 After supper, the students formed teams to decorate gingerbread houses and gingerbread people. 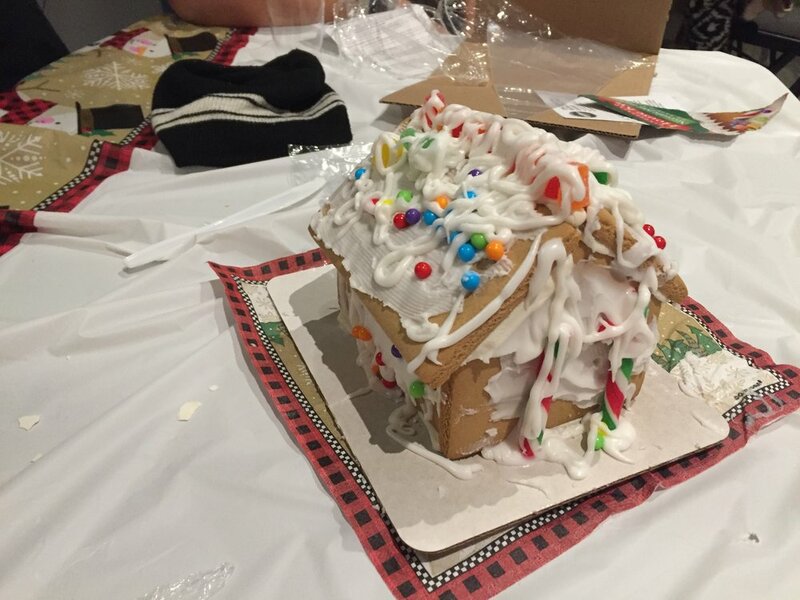 Judging the best decorated was a difficult task as there was so many great houses. We then completed the evening with some large group games. We gave out goodie bags and socks to the kids as they left for home. 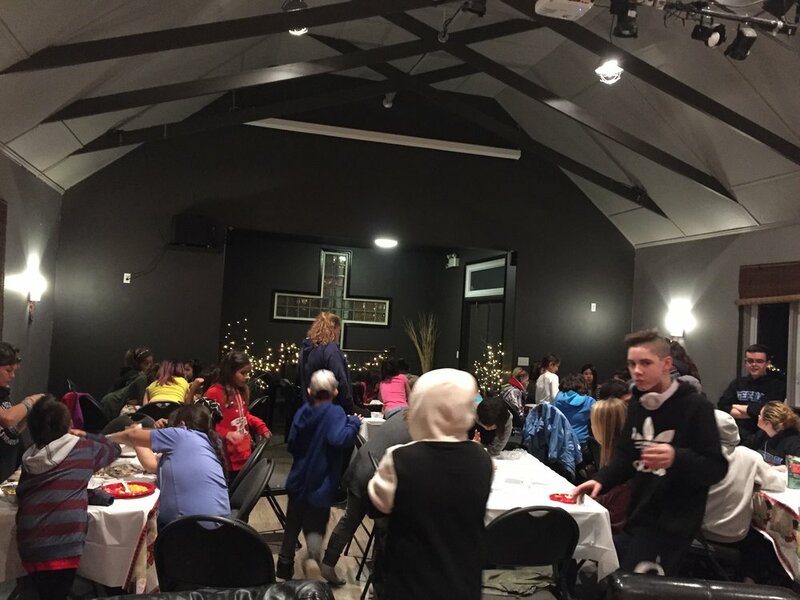 Hockey wrapped up before the Christmas break with the Banquet last Wednesday night. It was great night and finished off with 2 All Star Games (Juniors and Seniors) and the “Daddy” (the coaches)/”Daughter” (the students) game. The coaches normally win these games, but not this time. The students now have the bragging rights until the next contest at Boot Camp in February. 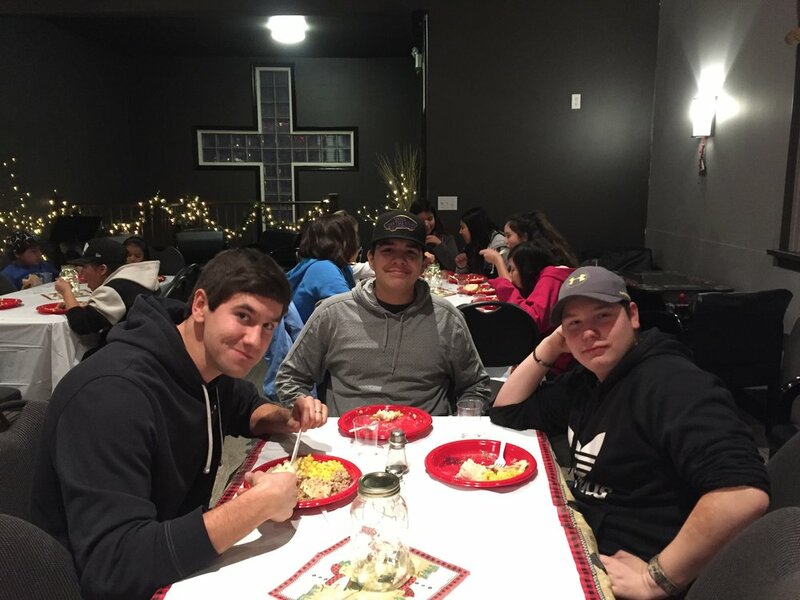 Our YFCHL Steak Night is on Sunday, January 21st at West Portal Church. Tickets are only $20. Besides a great steak supper, we will have some silent auction items to bid on. If you would like tickets, please give me a call on my cell 306-221-9820. Leslie and I want to wish you and your family a Merry Christmas and a happy and prosperous new year. Thank you for your financial and prayer support.